Dry goods merchant, MLA (1896-1899), Mayor of Brandon (1888-1889, 1901-1902). 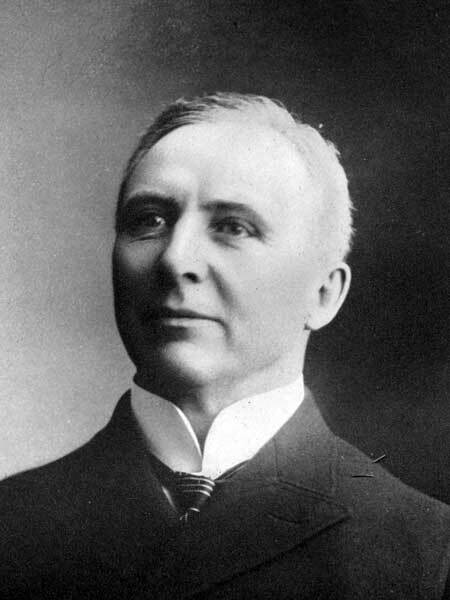 Born in Renfrew County, Ontario on 4 September 1849, and came to Brandon in 1881, where he established the dry goods firm of A. C. Fraser and Company and was an early proponent of the Brandon, Saskatchewan and Hudson’s Bay Railway. In 1911, he sold the dry goods company to Isaiah R. Strome. He served as a Brandon City Alderman from 1884 to 1885, and Mayor of Brandon twice. He served as a member of the Brandon School Board. He was elected as an MLA for North Brandon in 1897 but was defeated in 1899 and 1903. In his later life, he served as a police magistrate at Brandon, serving until retirement in 1934, when he was succeeded by A. W. H. Smith. With wife Mary Jane Bell (1855-1931) he had six children: Grace E. Fraser (1883-? ), Jessie Mona Fraser (1885-? ), Flora Alexandra Fraser (1894-? ), Mary Isabel Fraser (1895-? ), and George Stuart Fraser (1898-?). He died at Brandon on 15 December 1944 and is buried in the Brandon Cemetery. He is commemorated by Fraser Crescent in Brandon. Western Municipal News, January 1945, page 17.